Exclusively blended Massage Oils & Gels for professional Massage Therapists, Hydro 2 Oil is made from 100% natural vegetable oils. It provides a soothing massage that nourishes the skin, leaving it feeling silky soft. If you haven't already guessed from the name ‘Hydro’- our oils hydrate the skin, leaving it soft, moisturised and non-greasy! Hydro 2 Oil offers a comprehensive solution for Massage Therapists. It is Vegan friendly and water dispersible, meaning it simply washes off in water! Exclusively blended Massage Oils & Gels for professional Massage Therapists, Hydro 2 Oil is made from 100% natural vegetable oils. It provides a soothing massage that nourishes the skin, leaving it feeling silky soft. If you haven’t already guessed from the name ‘Hydro’- our oils hydrate the skin, leaving it soft, moisturised and non-greasy! 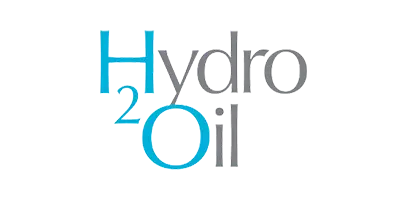 Hydro 2 Oil offers a comprehensive solution for Massage Therapists. It is Vegan friendly and water dispersible, meaning it simply washes off in water! $9.95 – $210.00 Trade Professionals, Please login or create an account to view wholesale Prices. $9.95 – $140.00 Trade Professionals, Please login or create an account to view wholesale Prices.